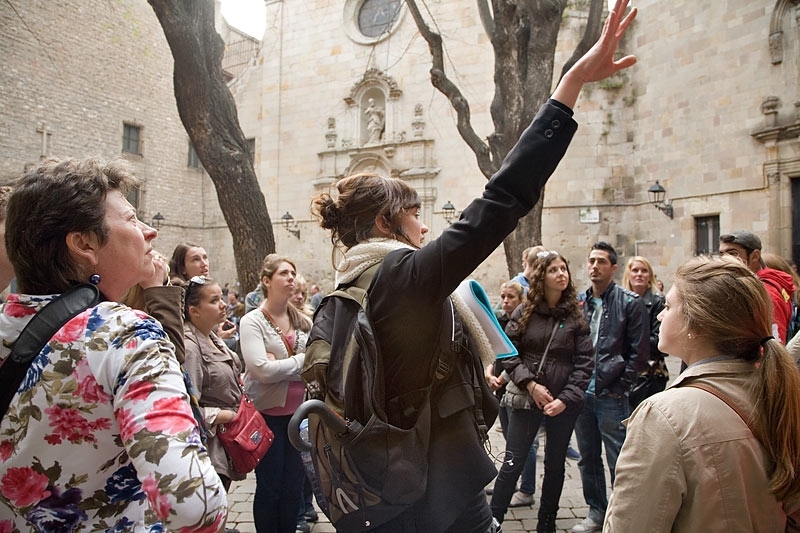 Barcelona is rich in history and culture. A family can enjoy a holiday in this wonderful city, and probably learn a great deal as well. 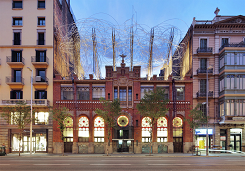 One of the many museums in Barcelona is the Antoni Tapies Foundation, founded by the painter and sculptor of the same name, a native of the City. This visit will certainly get you talking after you sit down for dinner later in the day, considering the style of the artist and his life experience. Don’t miss this unique visit while you are staying at our family aparthotel in Sarria. Experience coffee in a unique coffee spot! Looking for a coffee place where you can enjoy delicious cheesecakes, pastries and cupcakes and where they serve amazing coffee? 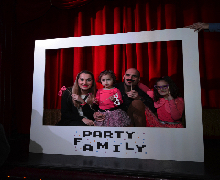 However, are you also looking for a place where you children can play and be entertained? Then Pudding coffee shop is the place to go! Located on two different places in Barcelona you can choose between two different themes. Fancy Harry Potter? Make sure to visit the one in Diagonal. 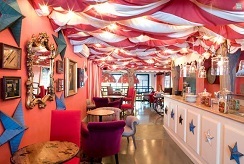 If you are more into Alice in Wonderland, pick the second option in Pau Claris. Pudding coffee shop offers something for everyone. We wish you a lovely stay at our aparthotel for family in Barcelona. A cozy, warm, family friendly restaurant where tradition meets innovation. 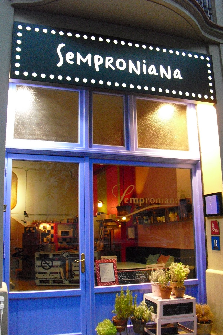 Semproniana is a restaurant made for families. The interior is warm and cozy with traditional looking chairs and tables. When entering the restaurant you feel at home immediately. The atmosphere is friendly and the staff is welcoming. The menu is divided in different sizes, suitable for everyone. The big eater can enjoy a Large menu, where the little one will have plenty with a Small menu. The menu is very diverse and offers lots of choice. We wish you a lovely stay at our aparthotel for family in Barcelona. “You’re never too old to go out”, you hear this quite often now that you got little ones. But what if I told you that they aren’t too young neither? That’s right, you probably never thought of entering a club with your children. Cristina, better known as DJ Mom, makes this happen. We wish you a lovely stay at Mariano Cubi in Barcelona! 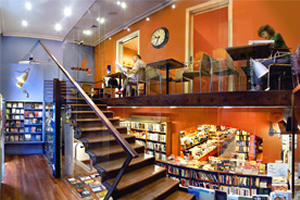 Barcelonans loves the arts and Catalan culture and with millions of tourists flocking to the city every year to witness its ever changing vibrant arts it’s no wonder literary places have popped up all over Barcelona. But, even artists, musicians and painters need to relax once in a while. Here are 4 places in Barcelona that the hip artists and musicians go, to enjoy a captivating book or two. We hope you enjoy our hotel in Barcelona for Family!